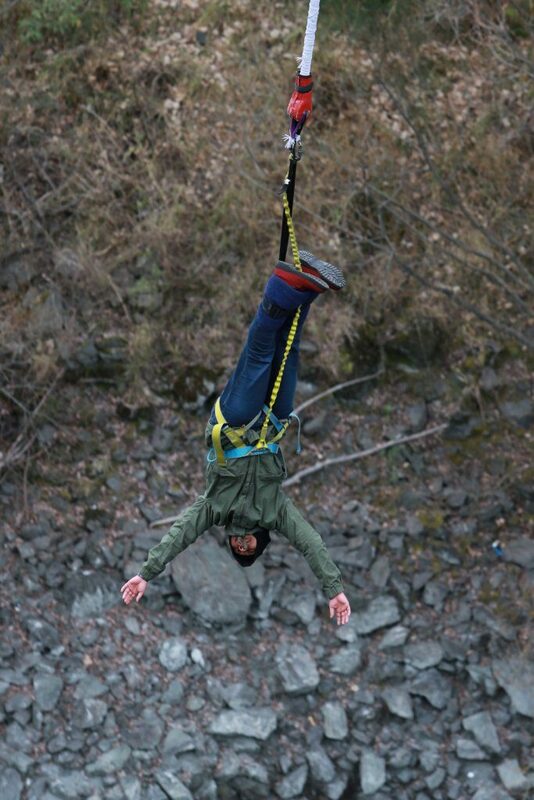 Bungee jumping is on my top list of to do list before I die since long time ago. After this quarter age of century I finally get the chance to visit New Zealand on one fine winter season this August. 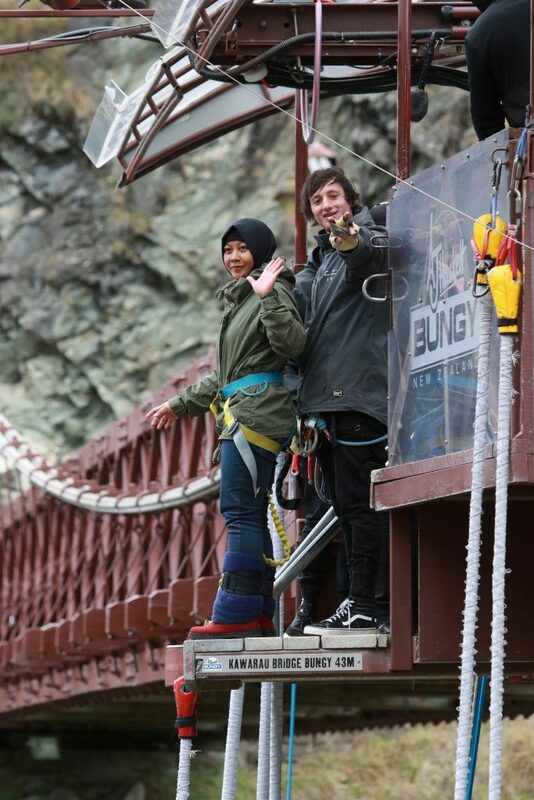 The bungee jumping I took was in Kawarau Bridge, the first ever to be said commercial bungee jump. Let’s make this real honey, after my last meal 17 hours before the jump and one hour earlier I just arrived in Queenstown city after the flight. 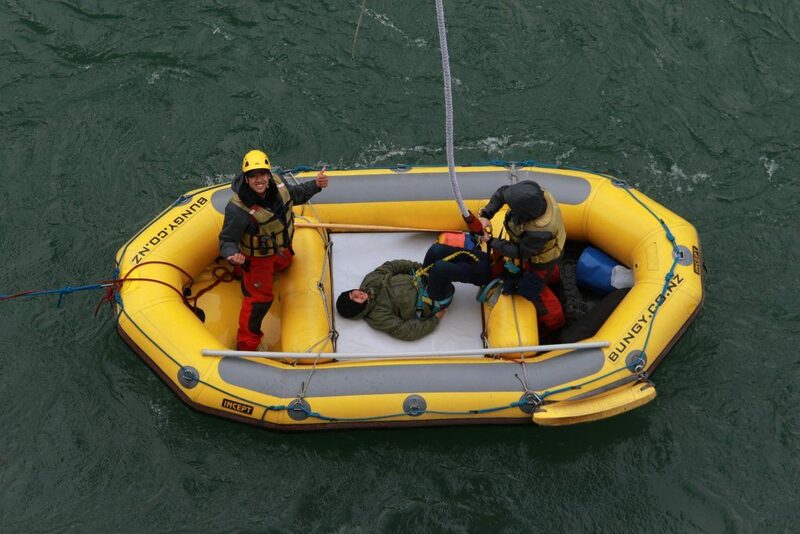 I was hesitant at first, knowing the three guys going with me wouldnt do the jump. But I keep the decision and paid immadiately before changing mind. Then it was done, after such shaky body and running out of voice since I got a shorethroat. 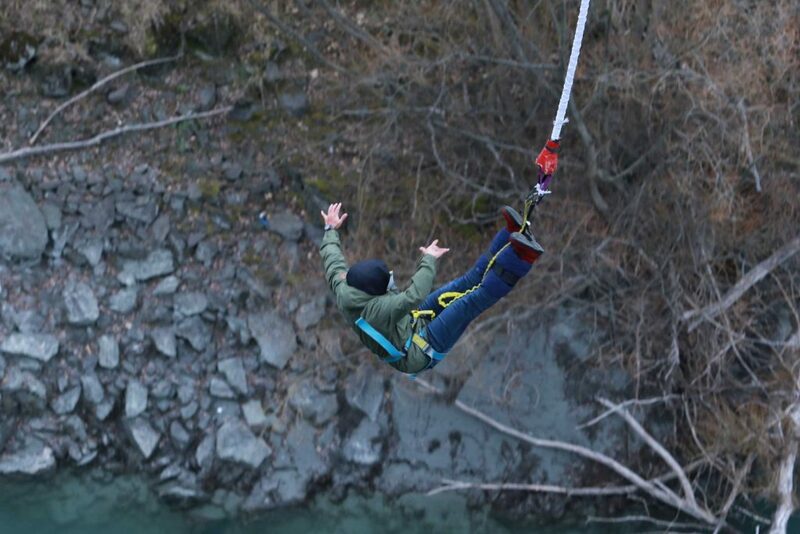 The height of this bungee jump run by AJ Hacket is 43 meters. You can see the blue water of the river flowing in front of your eyes. Feel your heart beat faster and just take the jump. I feel the stars filling my head when I start throwing myself and hung on the wire, oh man it was this scary. I was excited and regret of the jump the same time. 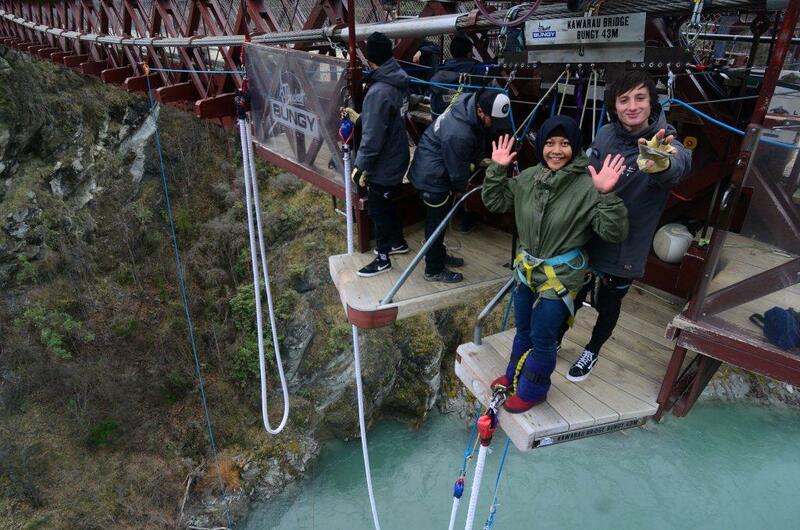 But it was worth it, for the crying wallet after the jump and the experience I got. my body shaking, hungry or scared? both! 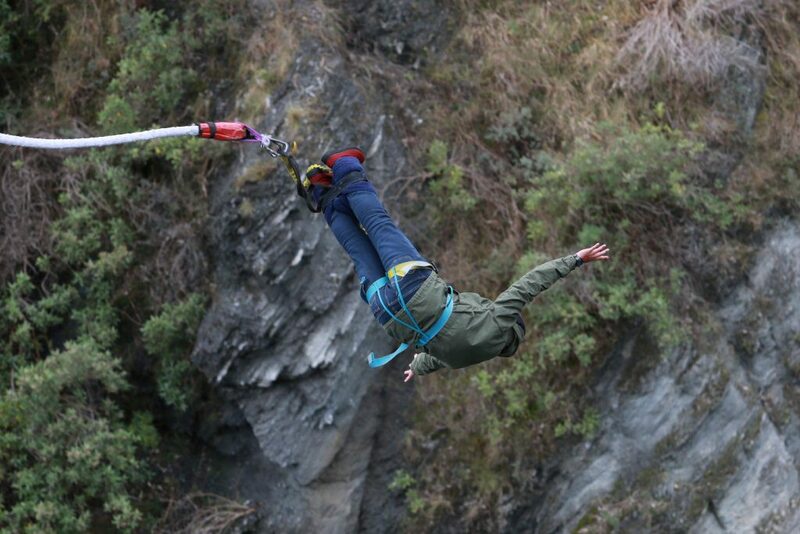 Taking the bungee is one of NZ must do when you have the chance to visit it. 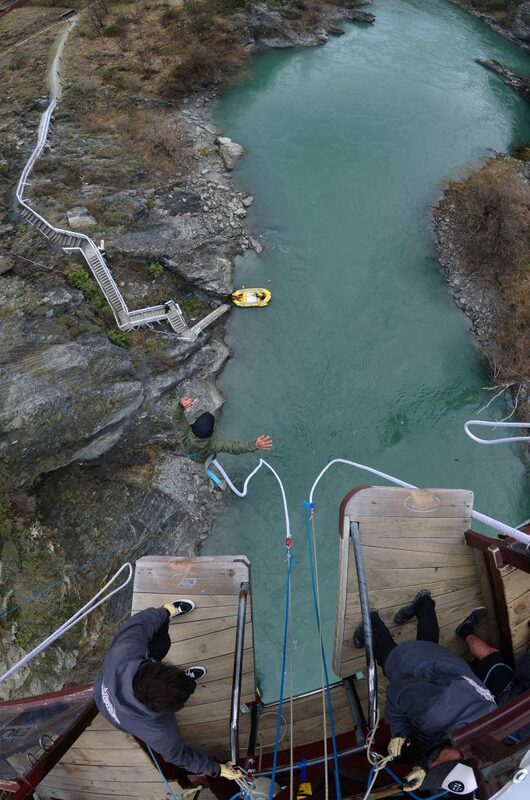 For the jump it costs $195 per person and $80 for the photos and videos package. For the detail of the package you can check it on the web of AJHacket. Bungee itself was originally from New Zealand and done by some people in Vanuatu using few vines to tie the feet before jumping from the bridge. 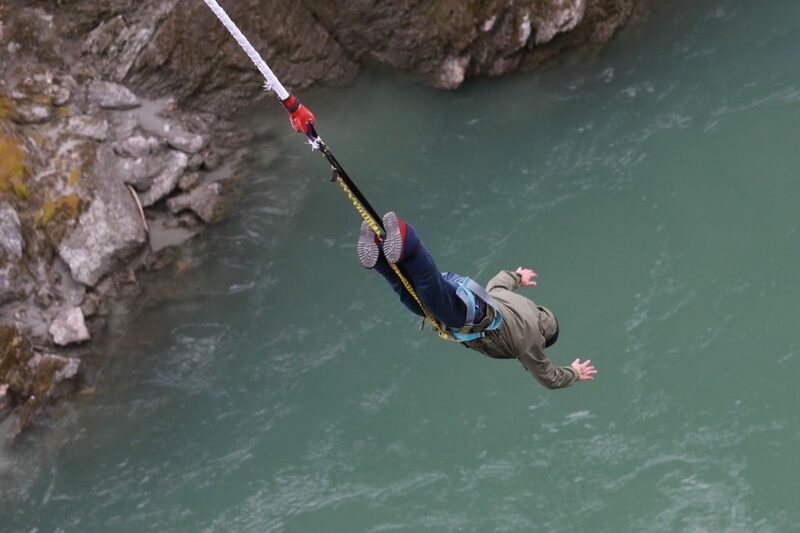 While the modern bungee jumping was started by a group of students inspired by the ancient tradition and started it in several places after making the trouble, you can find the stories in AJ Hacket . 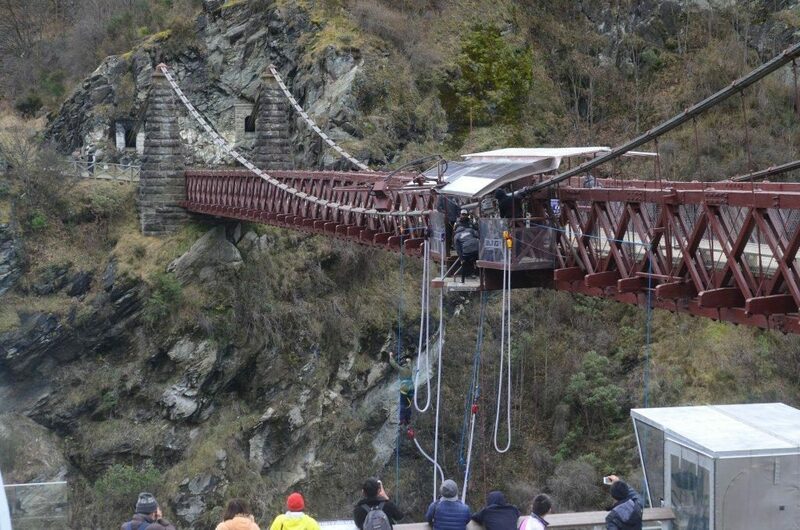 That’s how the stories of bungee and it was opened the first bungee site in Kawarau Bridge in 1988, the spot where I took the jump. Feel the sense and please enjoy NZ! I think I need to redo it one more time since my first time went not so well.